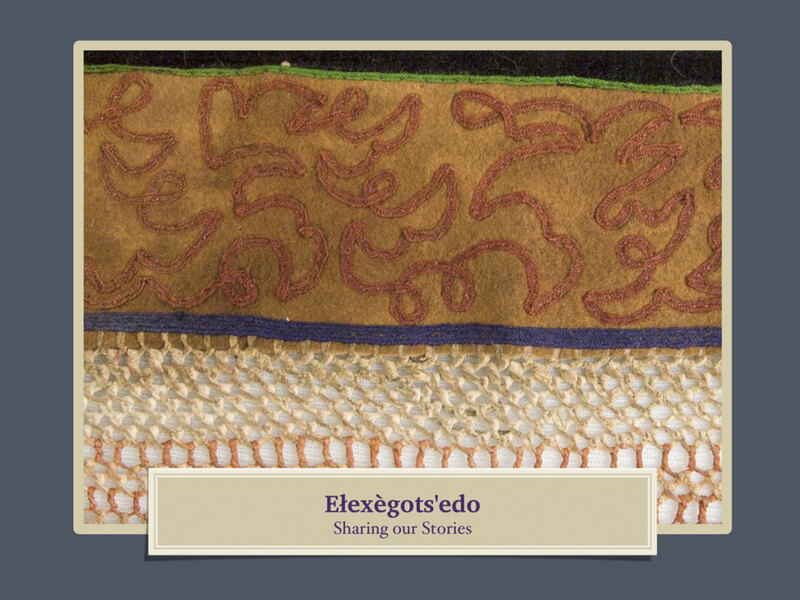 She Sharing Our Stories series of workshops were conceived as a way to promote community collaborations and knowledge of language and culture through specially selected objects from the museum collections. Between 2012 and 2013, three workshops were held with community participants from three regions of the Northwest Territories. The stories told and knowledge shared in these workshops were captured in the publications below. 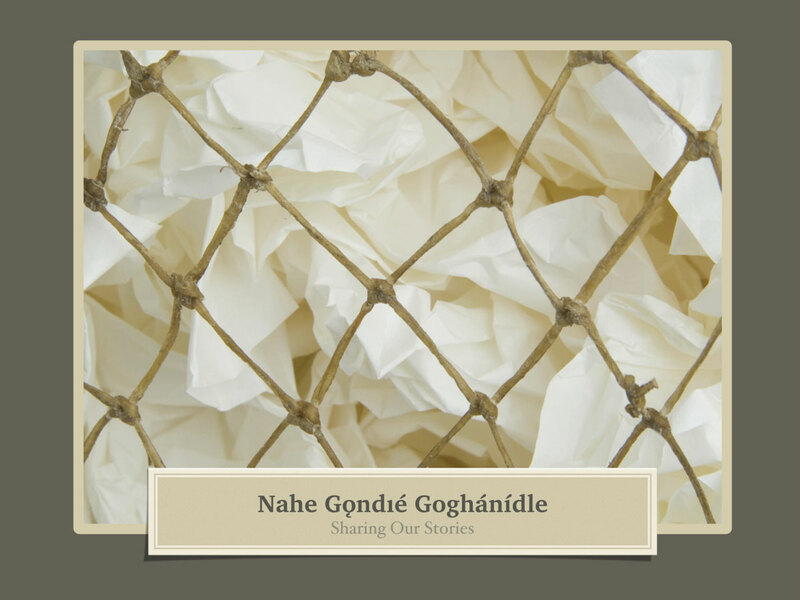 In November 2013, the Prince of Wales Northern Heritage Centre (PWNHC) hosted a two day workshop titled, “Sharing Our Stories”. Taking part were students, teachers, and elders from the Sahtu Region of the NWT. Communities represented were Tulita, Fort Good Hope, Deline and Colville Lake. The participants spent two days examining objects from the museum collections. This book presents the information gathered at the workshop. In February 2013, a group of students, teachers and elders from the Tłı̨chǫ Region travelled to Yellowknife to participate in a workshop at the Prince of Wales Northern Heritage Centre (PWNHC). Communities represented were Gametı̀, Whatı̀ and Behchokǫ̀. The participants spent two days looking at objects from the collections of the museum. These objects were carefully selected from the Tłı̨chǫ region and are being preserved and cared for at the museum. This book represents the collection of information gathered during the workshop. In November 2012, students, teachers and elders from the Dehcho Region communities of Fort Liard, Nahanni Butte, Fort Simpson and Fort Providence, spent two days examining and discussing artifacts related to their region that had been selected by museum staff. 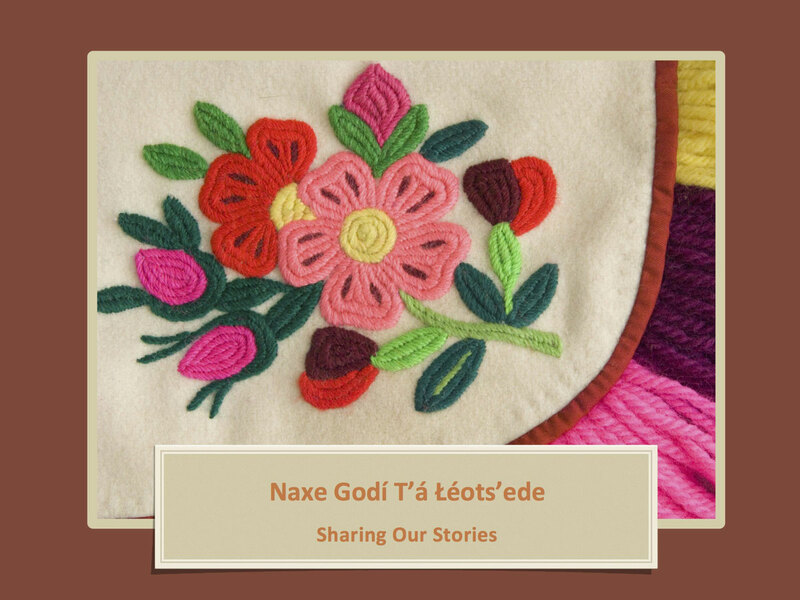 The results of these discussions, the stories told by the elders, and photographs taken by the students, are documented in this book.